Dallas Clement has been with the cable and media company for 27 years but feels he has the diverse experience to strategically guide the big private firm. For an executive, spending decades with the same company may be simultaneously a plus and a minus. On the plus side is the opportunity to become immersed in and knowledgeable about the business to a degree that enables highly nuanced decision-making. The minus: foregoing the diversity of perspectives that experience with multiple employers brings. Some long-tenured executives, though, may not see themselves as disadvantaged by the latter. A case in point: Dallas Clement, CFO of Cox Enterprises, a holding company for three subsidiaries. With annual revenue of about $20 billion, it’s the 14th largest privately held U.S. company, according to Forbes. Clement has worked there for 27 years, but he thinks the many roles he’s held and the fact that the businesses are for the most part operated separately provides him with more than enough diverse experience. His first 20 years were spent in various finance roles at one of the subsidiaries, Cox Communications, the third-largest U.S. cable television operator. Starting in 1995 he successively led investor relations (the communications business was publicly held from 1995 to 2004), treasury, and strategy and business development. Then came three years as finance chief of Cox’s Autotrader.com, an online marketplace for vehicle sellers and buyers. In 2014, when Cox Automotive was created by combining it with other Cox-owned automotive businesses — including Kelley Blue Book and a host of auto-related auction, wholesale, and other services — Clement was named finance chief for the group. Then, in 2015, he was promoted to CFO of the holding company, overseeing all three subsidiaries, the third one being Cox Media Group, a collection of TV stations, radio stations, and newspapers in 20-plus media markets. When Cox Communications went public, it had to decide what to do about investor relations: bring in someone from the outside who knew IR but not the company’s management team or strategy; or promote a person from within who knew the internal workings and would learn IR on the job. 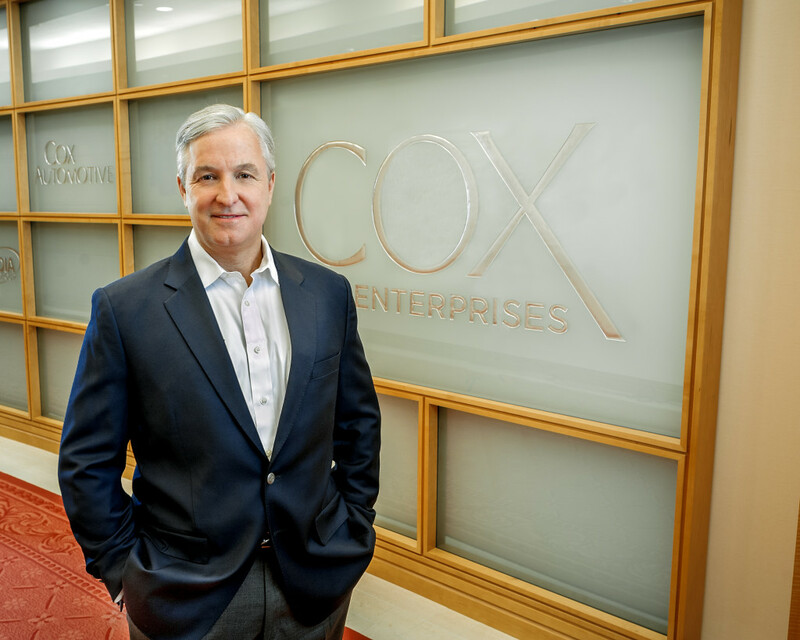 “Part of the culture of Cox is that we’re willing to take risks on good leaders with a proven track record and put them into new roles,” Clement says. In his next post, as treasurer, he oversaw $10 billion worth of acquisitions over a five-year period. When he later moved into the strategy and development role, he replaced someone who had left amid the dot-com euphoria of the time, but the job he took over was essentially a new one. Likewise, there was nothing on Clement’s résumé suggesting that he knew anything about automotive services, but the company was thinking of taking Autotrader public and needed a CFO for the business who had public-company experience. Again he was chosen over candidates from outside the company. Another aspect of the strategic orientation is that he’s closer to the company’s owners. The company is still controlled by the Cox family, 120 years after its founding, and interactions with involved family members are often about the product portfolio and opportunities for diversification. As an example of diversification, considering Cox Media Group’s expertise in broadcasting and recognizing that “technology is the way of the world,” the company has developed a system called Videa that automates the process of buying broadcast advertising. Cox is also allocating capital to its Cox Conserves initiative. It began 10 years ago as part of a cultural imperative to “do right by the communities we serve, and we feel that sustainability is an important part of that.” But there are business opportunities too. In 2014 the company created a new subsidiary, Seven Islands Environmental Solutions, to identify and implement new technologies and programs to create environmental solutions. For example, earlier this year Cox announced that it was bringing to the United States an Italian technology that uses organic materials such as wood chips to generate heat, which breaks down tires into their original components. Cable TV companies seem to be forever immersed in controversy, given a populist view that they seek to unfairly discourage competition in efforts to attain regional monopolies. Dominant competitive positions have led to skirmishes in recent years between cable companies and television content providers over broadcast-rights fees, sometimes resulting in channels going dark for periods of time. Asked directly about these competitive issues, Clement notes that cable is a capital-intensive business. But Clement stresses that across its product lineup, Cox Communications is hardly free from competition. For instance, with regard to residential telephone service, there are many ways to make a phone call today, using either the internet or wireless phones. Also, the video products provided via TV are waging a huge battle against internet-based video offerings from services like Netflix and HBO Go. Even hard-wired broadband internet service is increasingly competing with wireless offerings and Wi-Fi hotspots.